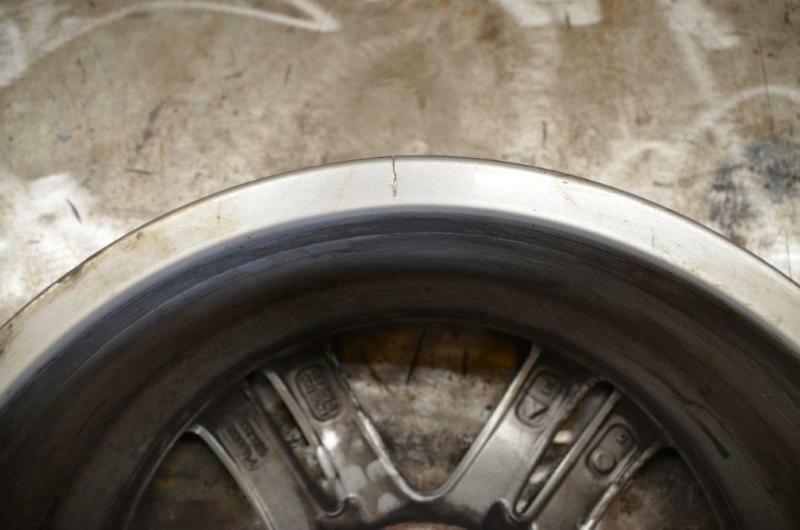 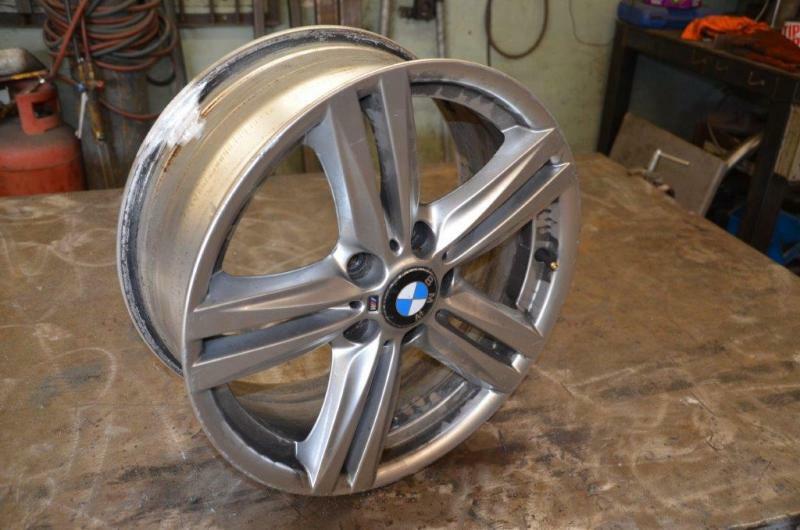 Repair to Damaged Alloy Wheels that have buckled or distorted the wheel. 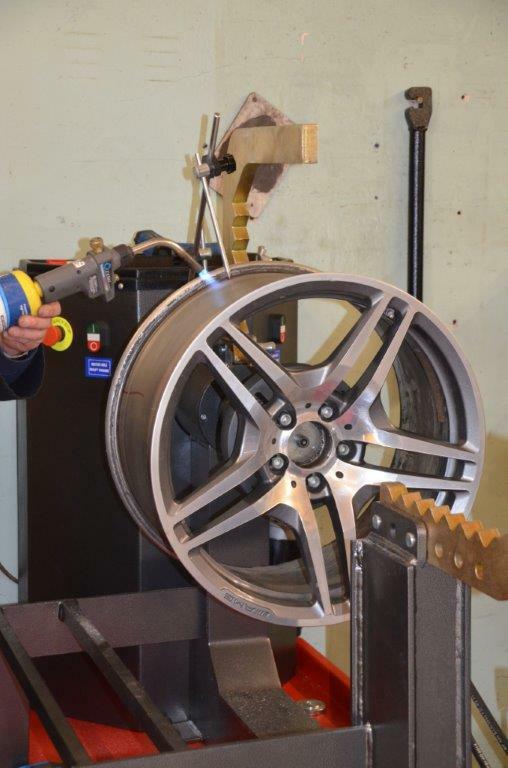 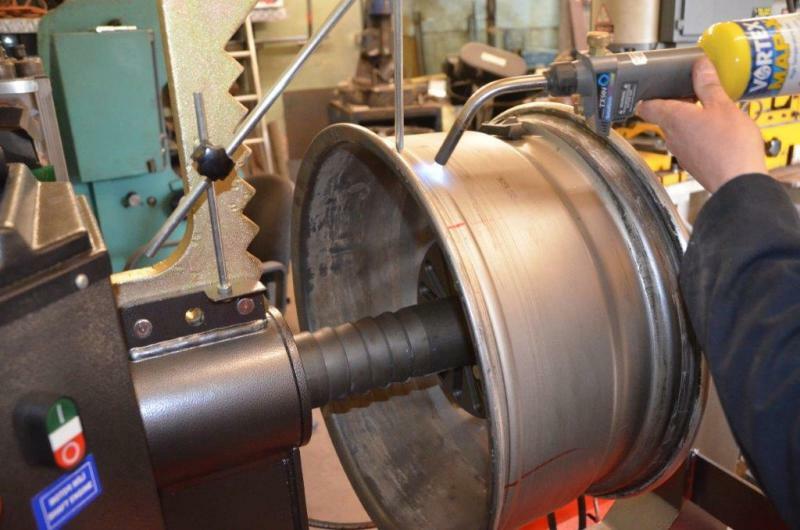 We specialise in straightening of bent or curbed rims and welding cracked wheel rims made from Aluminium and Steel. 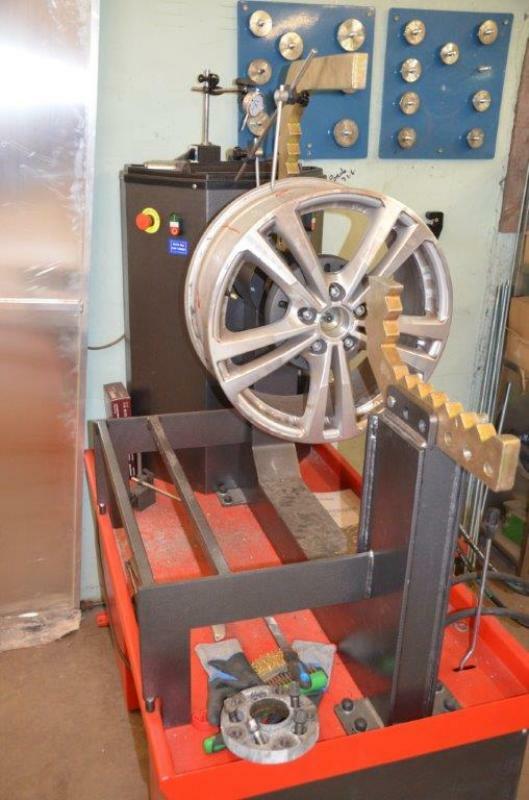 We have invested in a new Ayce Systems Professional Alloy Wheel Straightener making light work of flat spots and buckles in your alloy wheels. 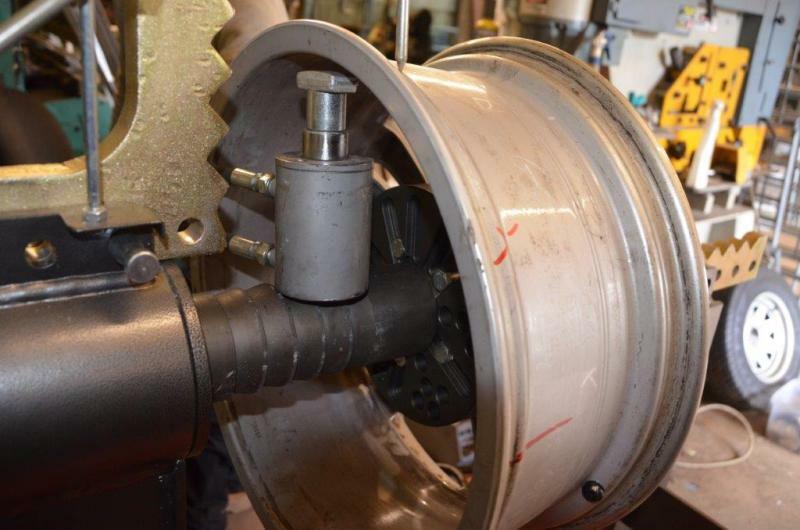 This new piece of machinery will have your wheels straightened back to manufactures tolerances by our experienced staff that are able to straighten buckles at a fraction of the cost of a new wheel. 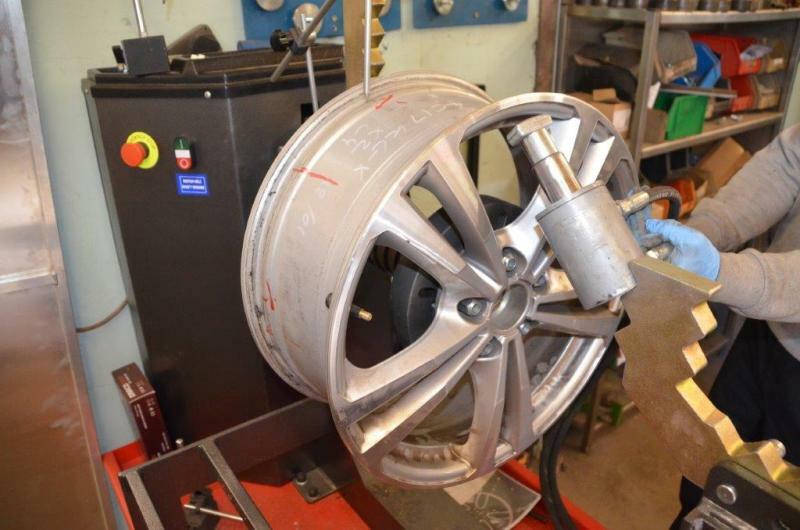 All we require is that the tyre is remove by the customer first or we can recommend a tyre depot who can carry out this work for you. 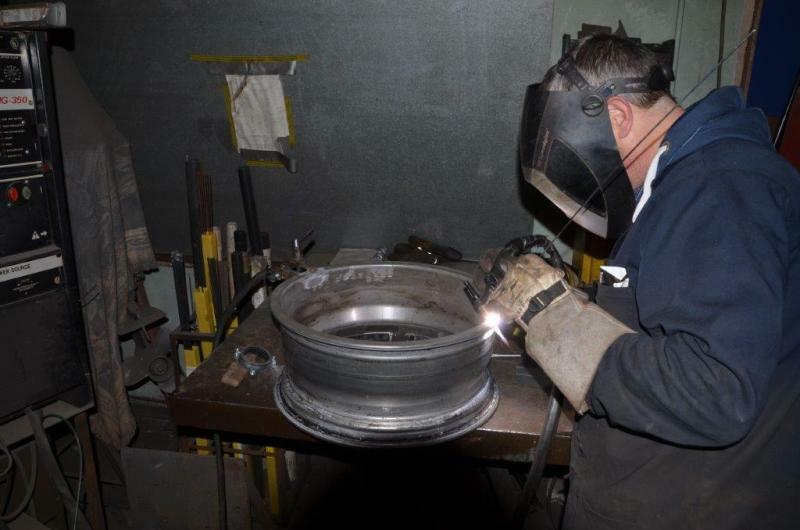 All welding repair is done by tig welding to aircraft standards using only the best machine and filler rods. 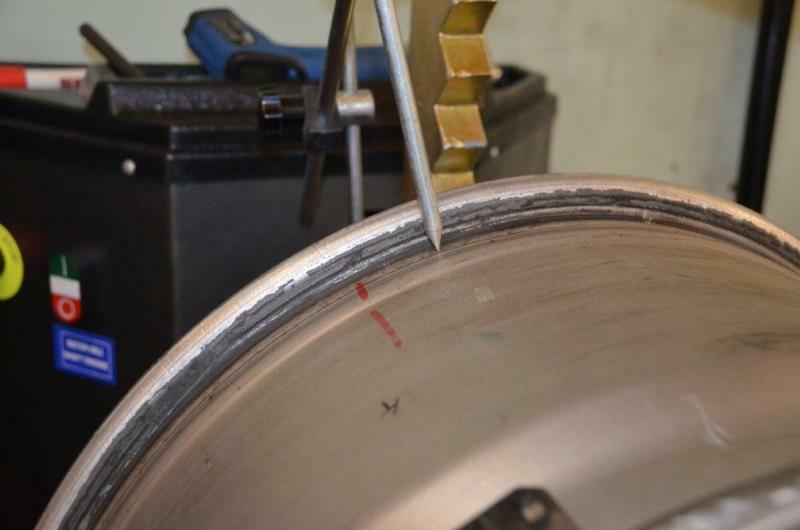 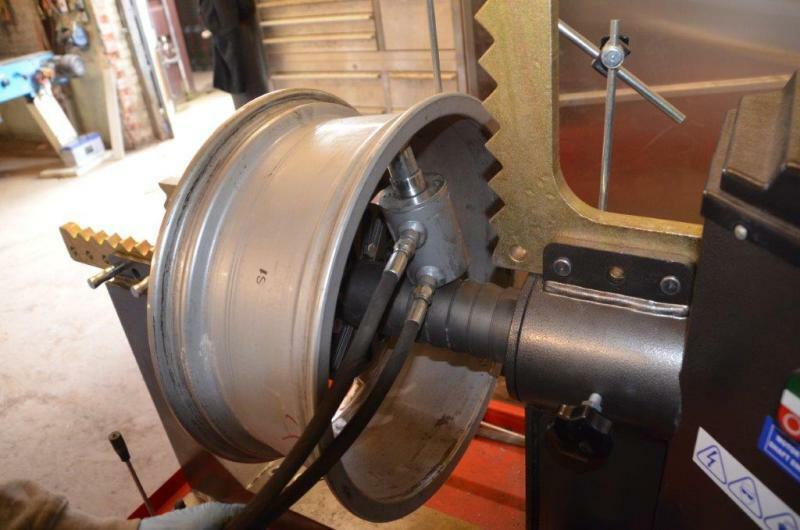 Cracks are cut out, drilled, shaped and then after the weld has cooled the excess weld is removed and the rim is re-shaped back to wheel profile.